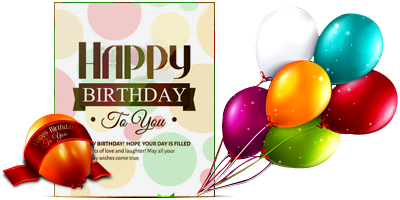 Birthday Card Designing Software empowers users to design birthday cards with use of advanced image designing tools. Software generates colorful birthday cards with photo adding facility. With the help of inbuilt Email Settings, you can send your designed birthday cards at specified email address. 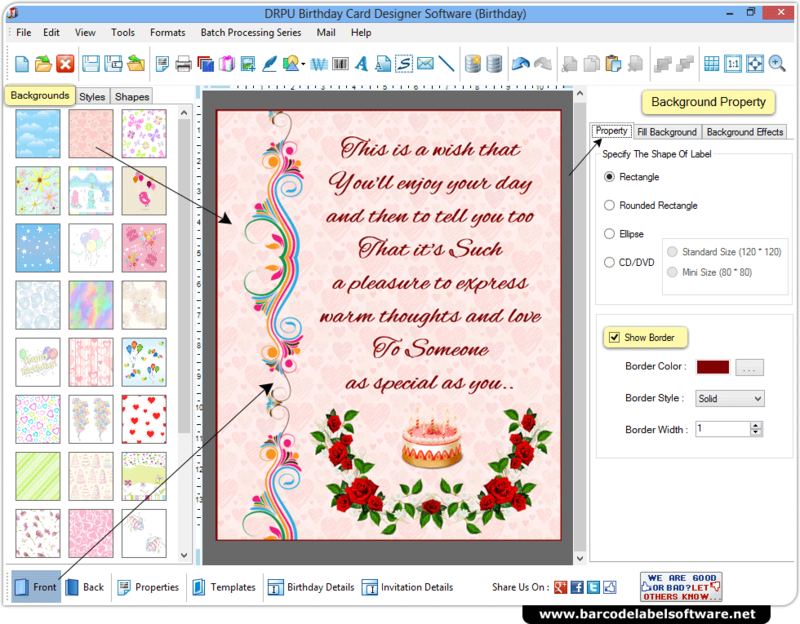 Software provides facility to add barcode, watermark, images etc on birthday cards. Send your designed birthday cards at particular email address using inbuilt Email Setting. Generate multiple birthday cards with different barcode and text value using Batch Processing Series feature. Design birthday cards using Text, Line, Rectangle, Ellipse, Triangle, Star, Symbols, Signature, Barcode, Watermark and Images. Specify the color and background settings of card including Solid Color, Gradient, Image and Style settings. Software has option to save your designed birthday card logs for future reference.